Soon scientists will be able to perform efficient DNA analysis right at their bench. Promega Corporation has announced the development of a benchtop capillary electrophoresis (CE) instrument in collaboration with Hitachi High-Technologies Corporation. The Spectrum Compact CE System meets small batch and single sample needs in DNA analysis and performs both sequencing and fragment analysis at a moment’s notice. 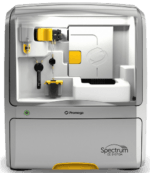 The Spectrum Compact CE System allows laboratories of all sizes the freedom to carry out single nucleotide polymorphism, PCR sizing and microsatellite analysis, de novo sequencing, NGS validation, and mutation detection. This benchtop CE instrument runs up to 32 samples at once and features 4-capillary, 6-dye detection along with an integrated touch-screen for instrument operation. Plug-and-play prefilled reagent cartridges with a guided software user interface brings capillary electrophoresis capabilities to the hands of any scientist in the laboratory regardless of skill level or expertise. The first prototype will be on display at the Advances in Genome Biology and Technology Meeting February 13-16, 2017. It will also be featured at the American Academy of Forensic Sciences Annual Meeting February 13-18, 2017. It is anticipated to be commercially available in the second half of 2017. 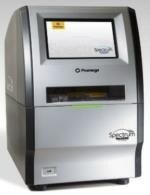 The collaboration between Promega and Hitachi High-Technologies leverages the two companies’ respective strengths as the industry’s leading manufacturer of reagents and STR kits and the world’s chief developer of capillary electrophoresis, allowing them to offer a high-performing, high-value, compact capillary electrophoresis instrument. Promega will also release a new Sanger sequencing kit designed for the Spectrum Compact CE System that features increased base-calling accuracy and applies Promega expertise in enzymology, dye manufacturing and master mixes. 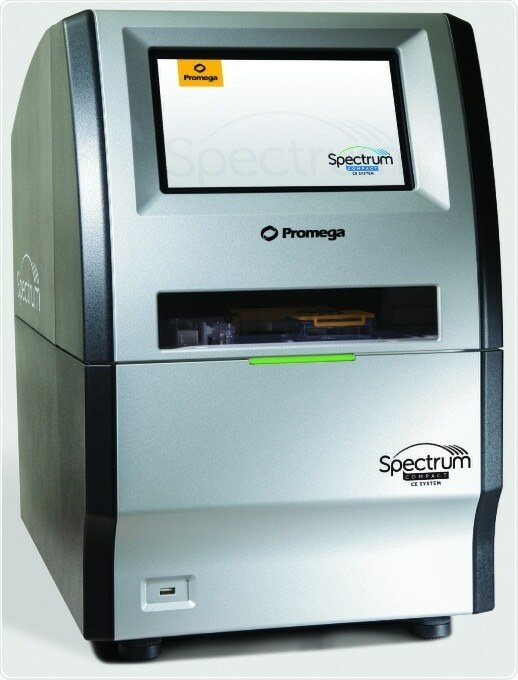 The Spectrum Compact CE System joins the Promega Spectrum CE System to support laboratories worldwide and is for research use only.